١ Medical personnel look for survivors following a reported airstrike on the Tariq al-Bab district of the northern Syrian city of Aleppo. ٢ Residents take cover behind Thai soldiers who were sent in to rescue people following clashes between anti- and pro-government groups at a major intersection in Bangkok, Thailand, on the eve of nationwide snap elections. 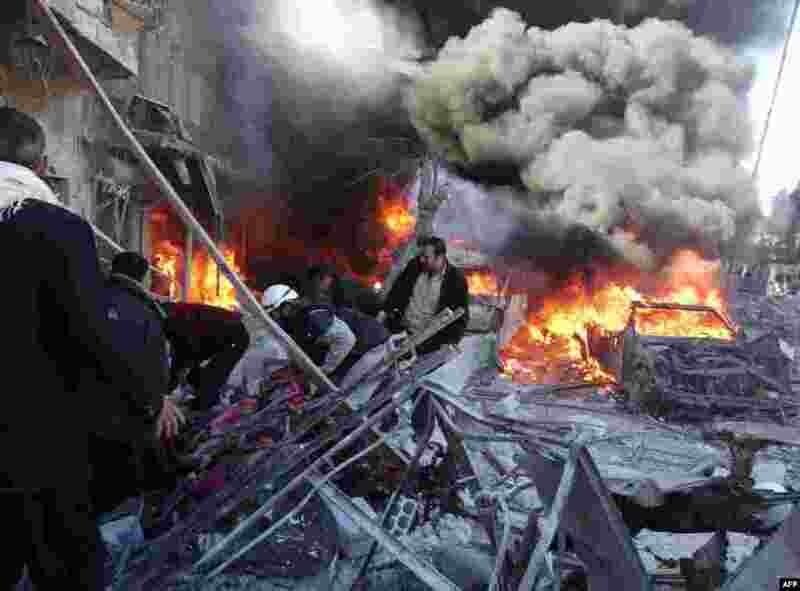 At least seven people are reported wounded, including an American photojournalist. 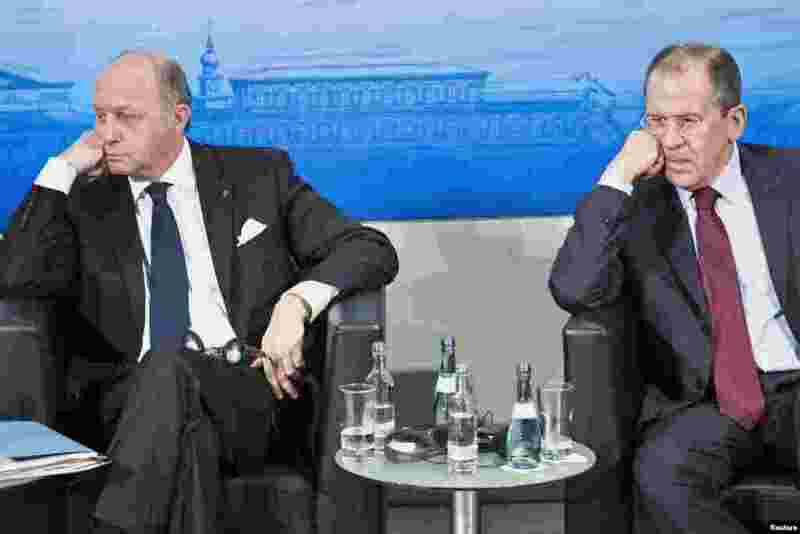 ٣ French Foreign Minister Laurent Fabius (L) and Russian Foreign Minister Sergey Lavrov attend the Munich Security Conference at the Bayerischer Hof Hotel in Munich, Germany. 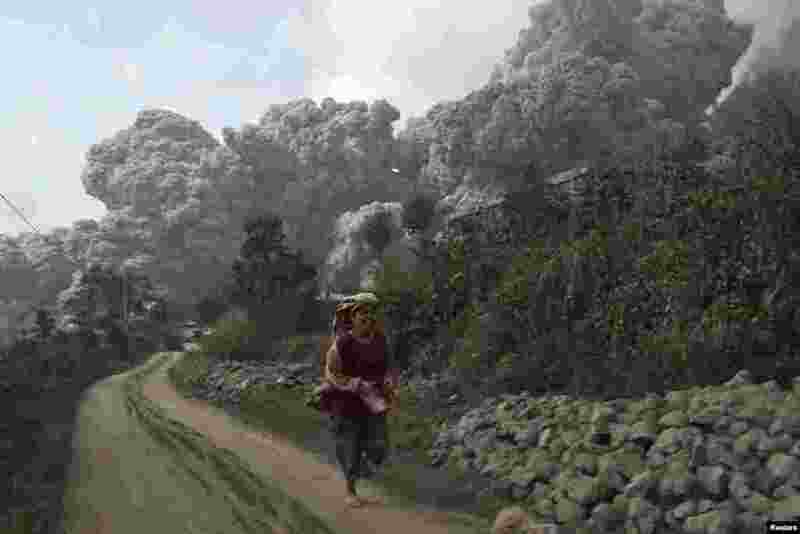 ٤ A villager runs as Mount Sinabung erupts at Sigarang-Garang village in Karo district, Indonesia's North Sumatra province.